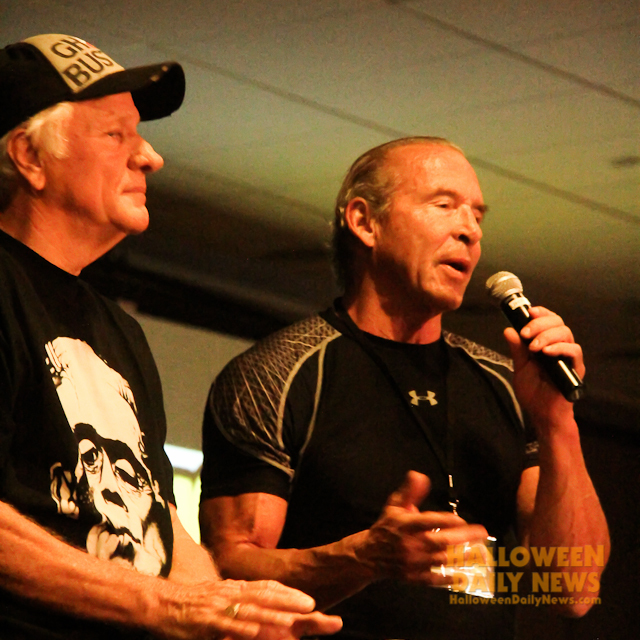 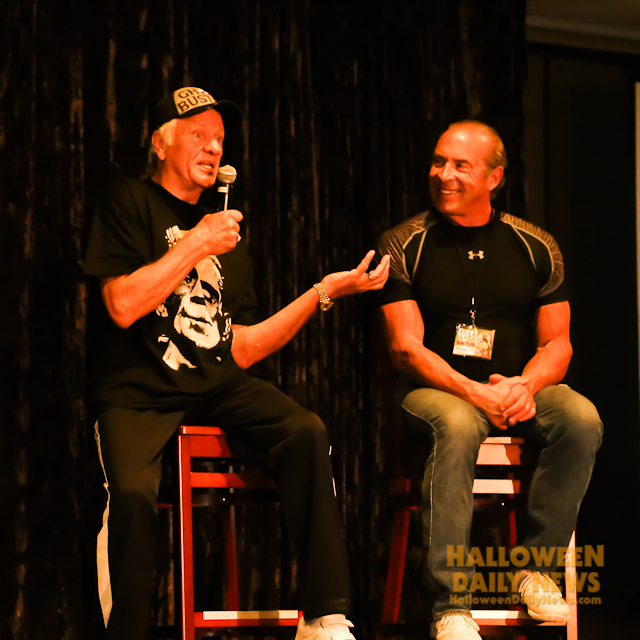 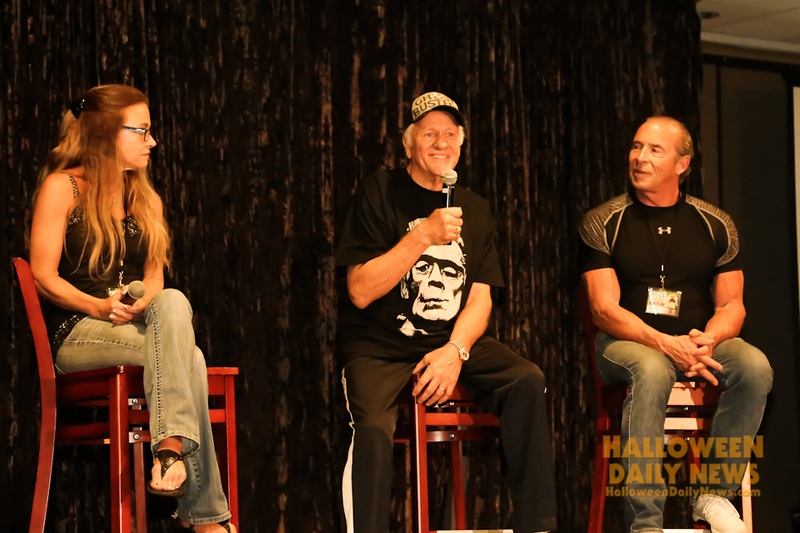 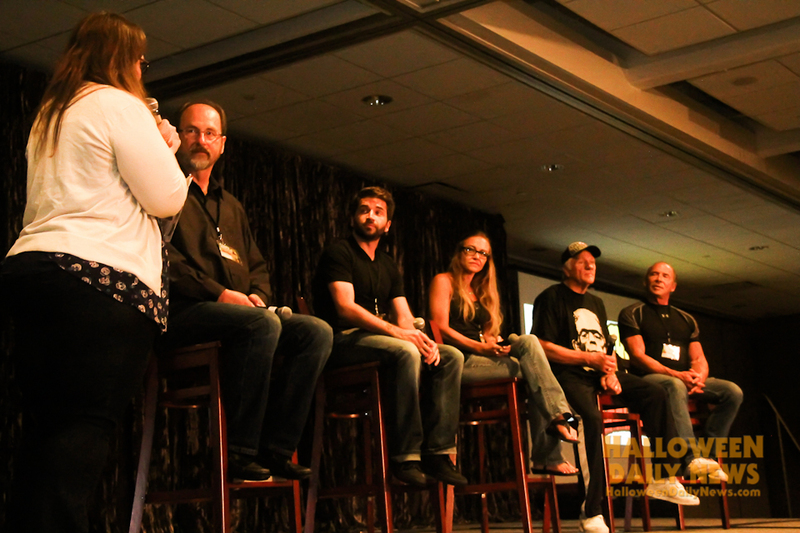 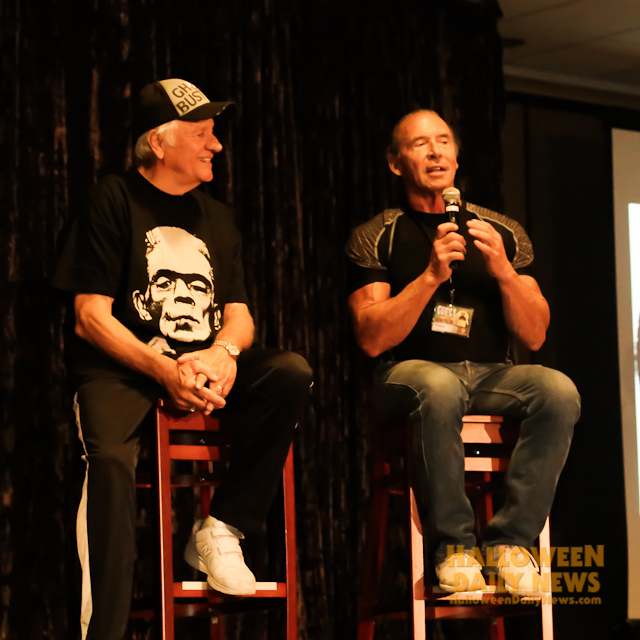 The 13th annual Flashback Weekend Chicago Horror Convention, Aug. 7-9 in Rosemont, Il, featured an epic gathering of 20 franchise veterans representing eight of the existing ten Halloween movies, including a mini-reunion of some of the key performers who brought the Thorn Trilogy of Halloween 4-6 to life. 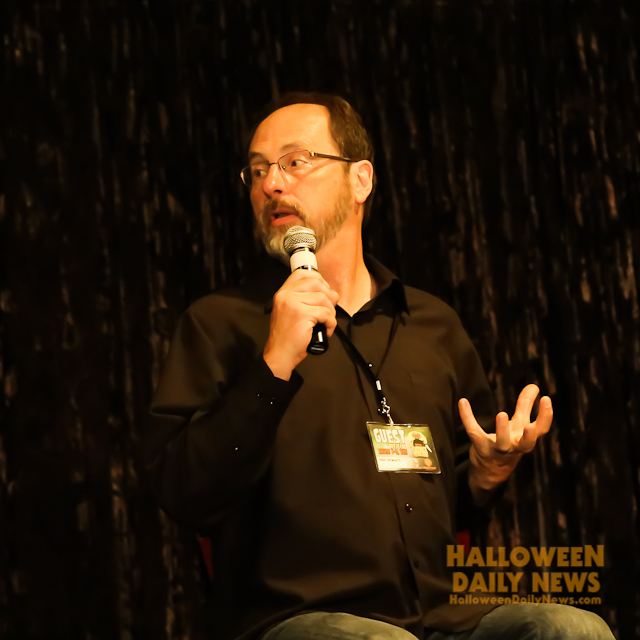 Among the former Haddonfield residents in attendance were George P. Wilbur (Michael Myers, Halloween 4, Halloween 6), Erik Preston (young Michael Myers, Halloween 4), Don Shanks (Michael Myers, Halloween 5), Tamara Glynn (Samantha, Halloween 5), and the soundtrack composer of all three films, Alan Howarth, all of which participated in a Q&A panel on Saturday. 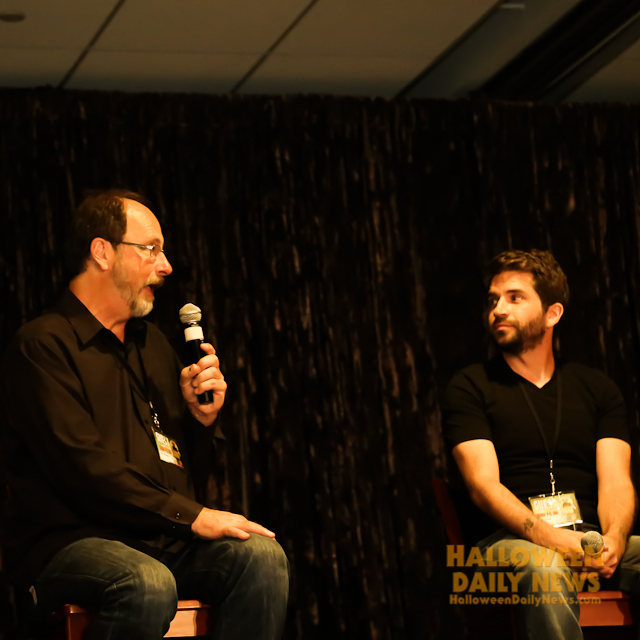 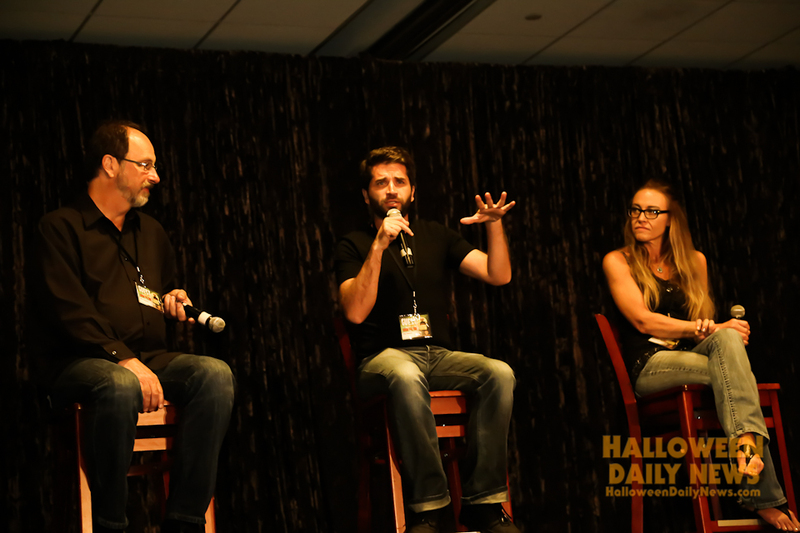 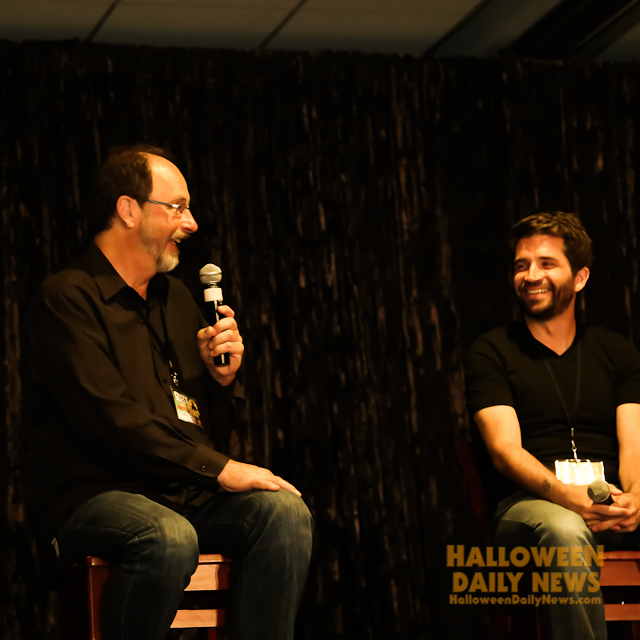 You can watch our video footage of the panel, moderated by Heather Wixson, in the player below, and then scroll down to view our exclusive photos from the event, and finally click here for all of our Flashback Weekend coverage! 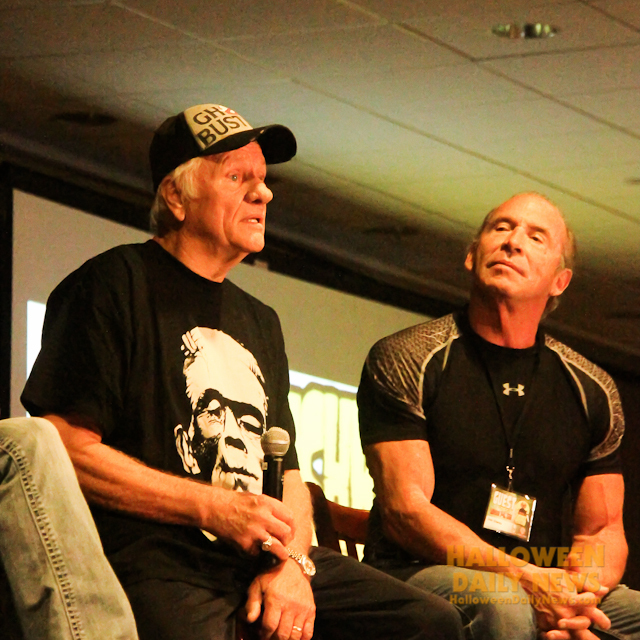 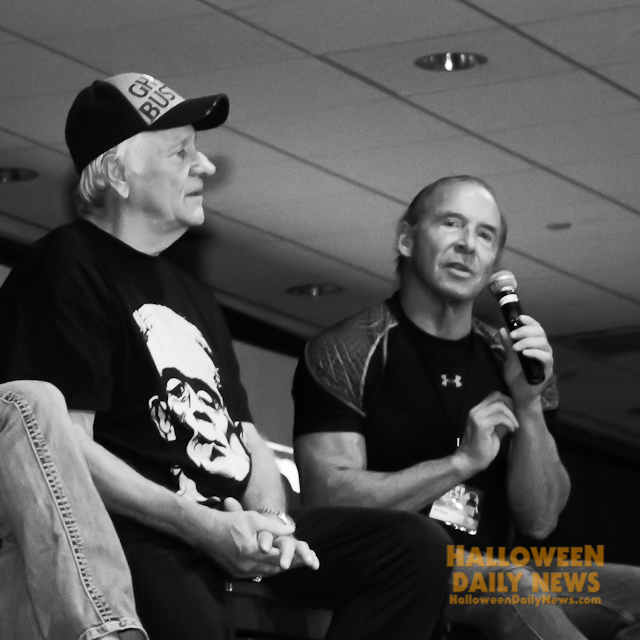 Click HERE for all of our Flashback Weekend Chicago coverage!